Blue Fusion Digital is a big proponent of video marketing which is why we are one of the best video marketing companies in San Diego. We didn’t randomly choose to start offering video marketing services to our clients instead we allow the market to dictate what the best digital marketing services are going to be for our clients. Check out some of these statistics to give you a bird’s eye view of why we love video marketing! 100 million users watch online videos each day. Click Through Rates (CTR) increase by 50%-65% when marketers include a video in an email. 80% of your online visitors will watch a video, while only 20% will actually read content to its entirety. Blue Fusion Digital is the premiere digital marketing agency in San Diego for a reason, we truly practice what we preach! 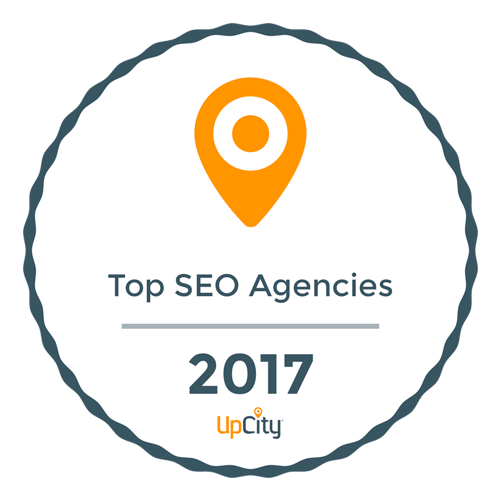 We actively use the techniques and services we offer our clients because we know how successful these internet marketing strategies can be and video marketing or video SEO as it is commonly referred to is no exception. Check out a few of our example of our videos on the first page of Google search results! Did you know one of the many benefits of Video Marketing is that it can directly impact your Search Engine Optimization (SEO)? In fact, websites and landing pages with videos are 50 times more likely to appear on the first page of search engine results if it includes videos! Yes, you read that correctly, 50 Times!! How does video marketing make your website 50 times more likely to appear on the first page of search results? Because video marketing can help you with some of the longest standing metrics and signals is looking for when placing pages in the search engines. User Engagement: (make sure people are engaged on your website) and videos help this metric become a strength of your website because an average user spends 88% more time on a website with videos! Link Building: Another amazing way videos can impact your SEO is link building. According to SEOmoz, blog posts that incorporate videos attract three times as many inbound links as a blog post without video! How Do Videos Impact Conversion Rates? Not only does Video Marketing help with SEO and getting more visits to your website or landing page but property video marketing can also increase your conversion rate! In fact, Blue Fusion Digital believes that video is one of the top CRO (Conversion Rate Optimization) factors almost every business can do a better job of leveraging. Just how effective can video marketing be at increasing Conversion Rate? Landing pages with video have up to 800% more conversion than the same page without a video. 64% is how much more likely website visitors are to buy a product on an online retail store after watching a video. 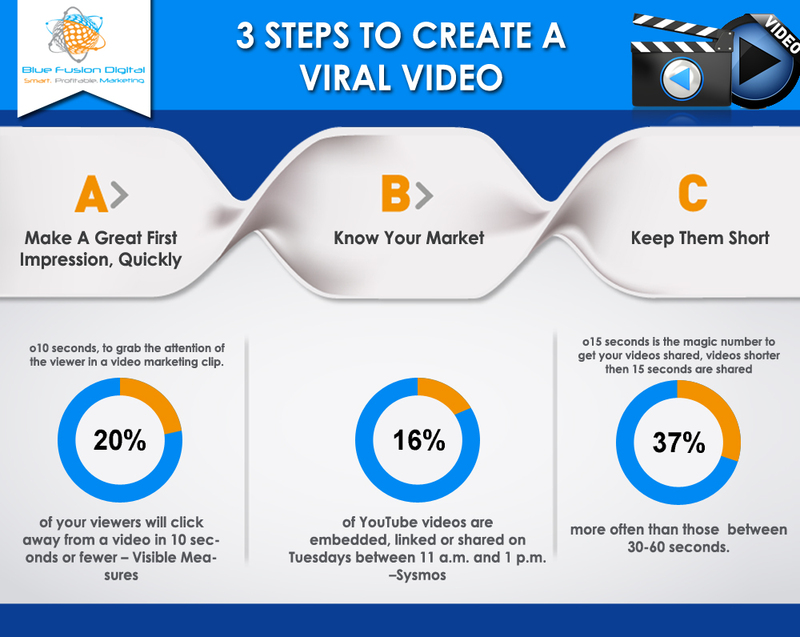 Truly outstanding Video Marketing can be a complex method that requires a great video marketing strategy, Blue Fusion Digital is going to let you in on a few quick and simple tips to help make your videos go Viral! You only have a few seconds to make people want to digest what they are watching. 10 seconds, to grab the attention of the viewer in a video marketing clip. Research has shown Tuesday’s are the best day in general to post a new video if you want it to be shared (which you do!) but each industry is going to be a little bit different. Make sure you use YouTube Analytics to figure out when you are getting the most engagement and schedule your videos to go live at your peak times! The key to getting to go viral is obviously how many times it gets shared, research shows that videos less then 15 seconds are shared 37% more often then videos between 30 and 60 seconds. 15 seconds is the magic number to get your videos shared, videos shorter then 15 seconds are shared 37% more often than those between 30-60 seconds. Blue Fusion Digital is a video marketing company that provides video marketing services such as video SEO or VSEO to clients all over the world. If you are located in San Diego or Ventura County we can do professional video shoots on location as well. If you would like more information about our video marketing services or video seo services please contact us via email or give us a call at (619)363-5003.